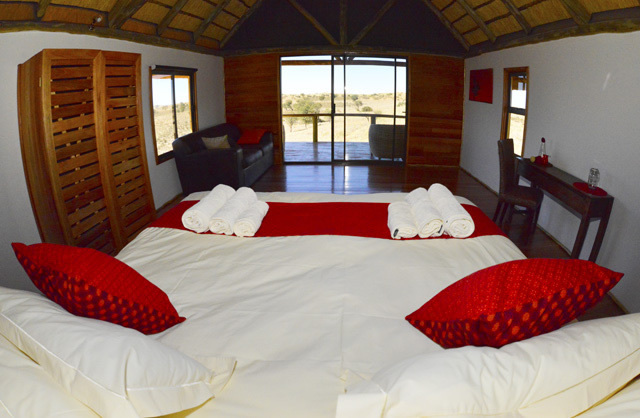 We depart 8h30 from Upington with a luxury Toyota Prado 4×4 as our tour vehicle. Drive 260km to Twee Rivieren, then to Rooiputs 20km on. 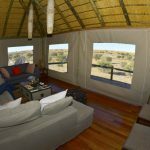 This luxury camp is situated on a red sand dune on the Botswana side of Kgalagadi. 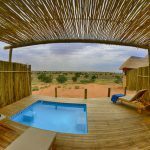 It overlooks ancient acacia savanna and a small waterhole. 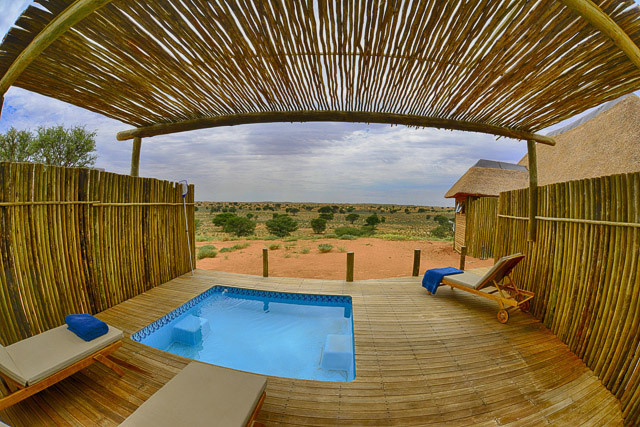 The view stretch to the far horizon, with Kalahari animals the focus point. Three course meals are served in the restaurant area. 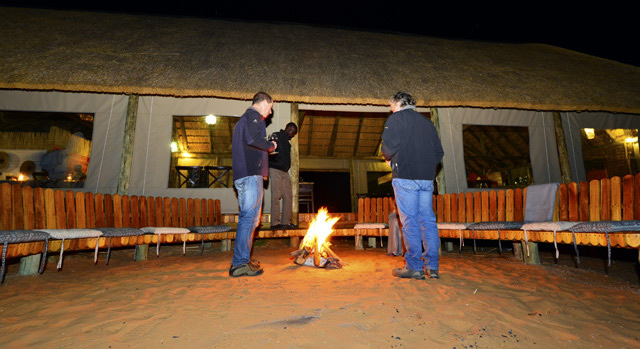 Your guide camps at Rooiputs camping grounds, within easy call. 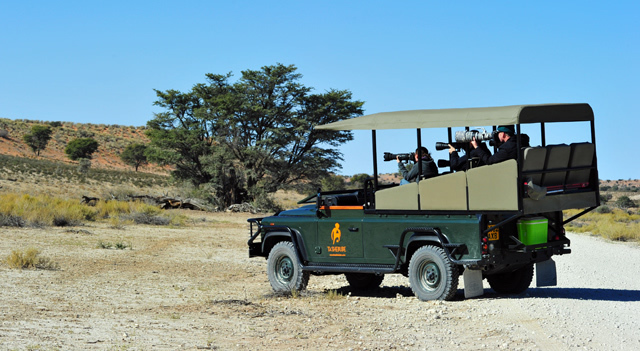 He will show you during several game drives the wonders of the Kalahari. 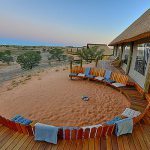 Kgalagadi is one of the last Wilderness area in the world – 138 000 square kilometers in total. Lion, Leopard, Cheetah and Hyena, as well as several Antelope species are common. The Prince of the Kalahari – Gemsbok – is a common resident. The animals show no fear towards our vehicle, the result of minimum human interference by the Park management. Optional night drives can be arranged at own cost. 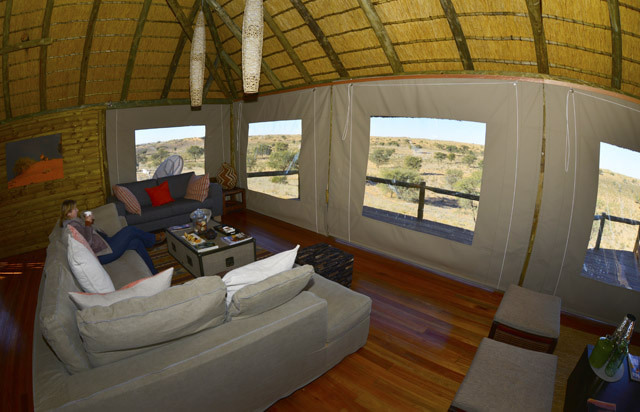 Depart after breakfast on a 160km game drive North in the Nossob river bed. We stop at an unfenced picnic spot to enjoy a packed lunch. 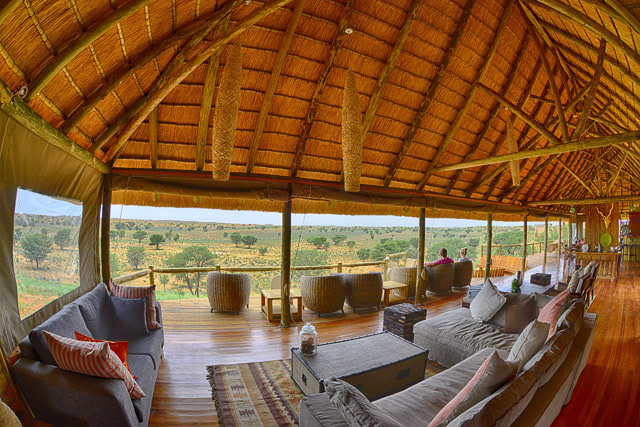 Driving past Nossob will take us to our destination for the next two nights at Polentswa. 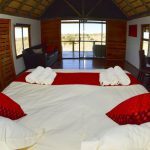 This camp is based on the same principle as Rooiputs – with incredible views over the dry Nossob river bed. 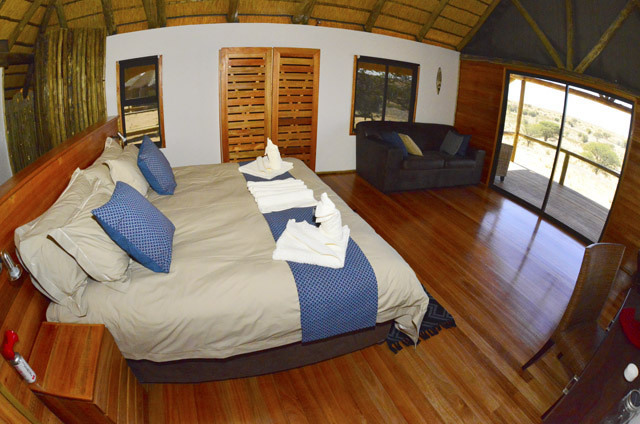 After arrival you can have a relaxing time on your private deck, then we do an afternoon game drive North. A three course dinner will conclude the day. 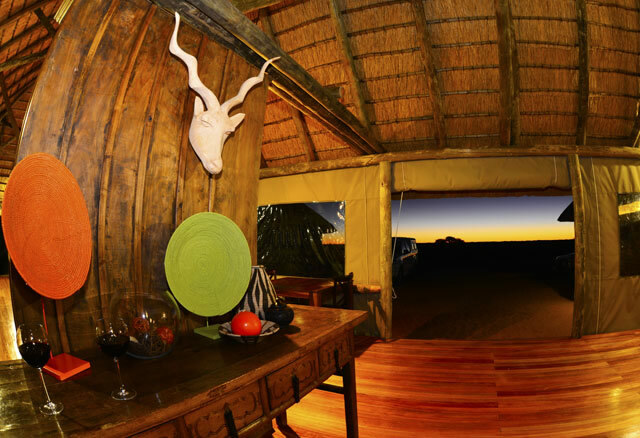 An optional night safari can be done from Polentswa. 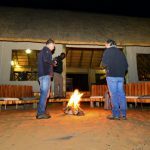 Your guide overnight at the camping grounds within easy call, ready to take you on game drives in our Prado. 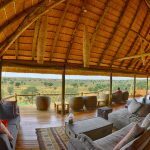 This is Lion country – if we are lucky the King will serenade us with its roaring, or the coughing of the Leopard will tell us their movements at night. 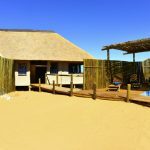 Today we leave after breakfast to drive South until Dikbaardkolk dune road, then cross to the Namibian side of Kgalagadi. 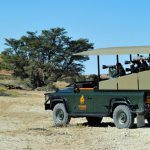 Maybe we will be lucky and see Giraffe – aptly named as the ‘pretty one’ In the sand roads of the Park your guide will explain the animal tracks – was it a male of female Cheetah? Just by looking at the spoor your guide can solve the puzzle of the hunt. Afternoon arrival at Rooiputs. 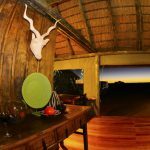 (200km) A relaxing walk around the camp at sunset concludes our day. After our breakfast we do a game drive North in the dry Nossob riverbed. 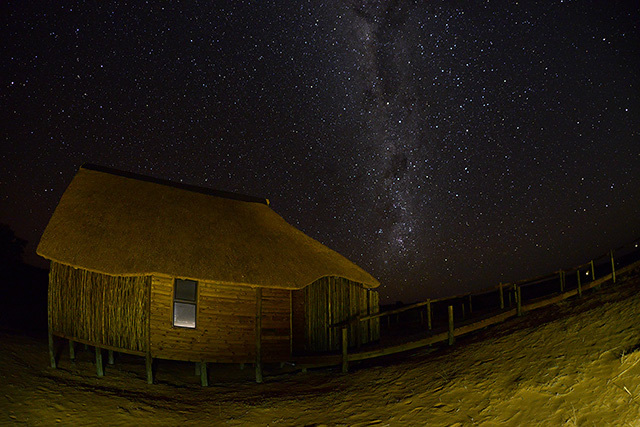 Kgalagadi boasts 264 bird species, of which 40 are Raptors. The birds are there for a specific reason – why is the Cape Vulture sitting in the Acacia tree? 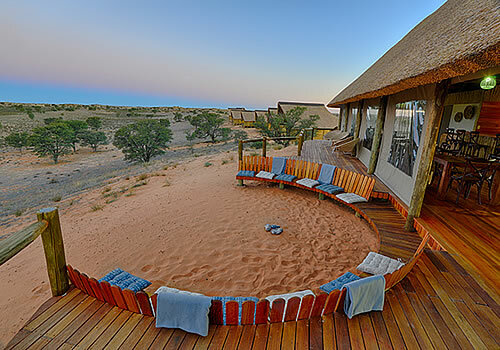 Is it waiting for Lions to finish their meal, or is it just keeping its babies protected from the harsh Kalahari sun? 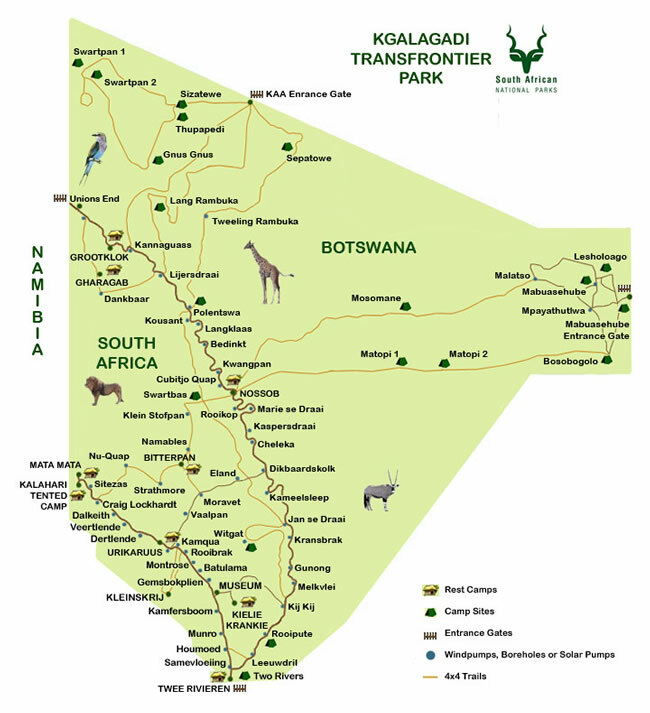 After lunch at the lodge we depart to Twee Rivieren, then Upington 260km. Tour ends at Le Must 5 star guesthouse. We will transfer you to the restaurant and safely back. 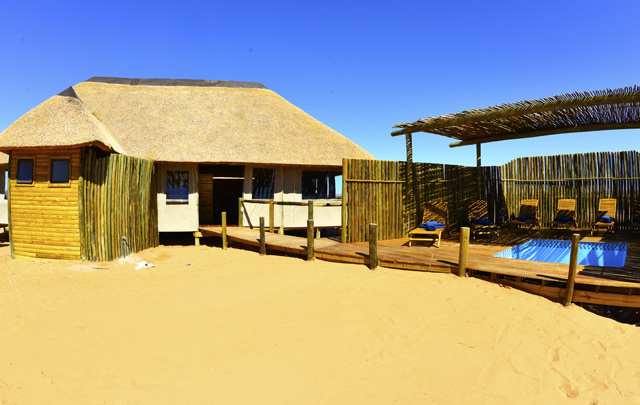 Day after your tour: Your guide transfer you to Upington airport (after breakfast ) End of tour. Important: should your flight arrive before 12h00, we will take you free of charge to visit the famous Augrabies Falls 120km from Upington. (6th highest Falls in the World) We visit a local wine farm for wine tasting, and enjoy the day at the Falls. 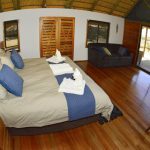 Accommodation in Le Must, as well as Rooiputs/Polentswa. 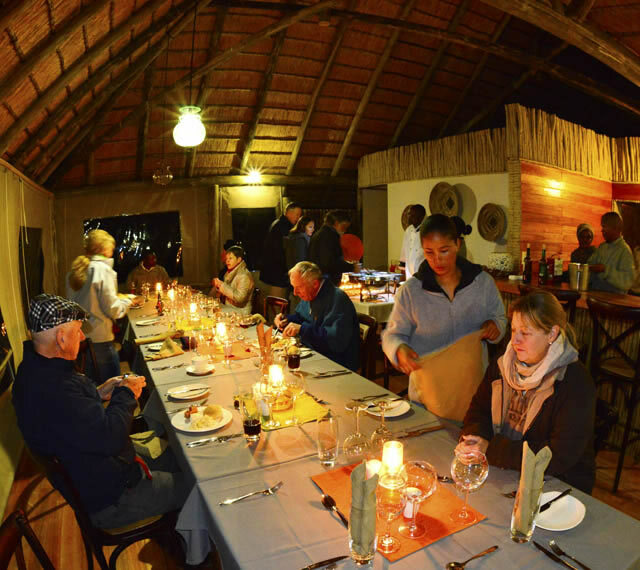 All meals during your safari, Breakfast at Le Must restaurant, Prado 4×4 vehicle, guide, fuel, daily conservation fees, all transfers, game drives (unlimited mileage) Your guide is on call 24/7 for your convenience. 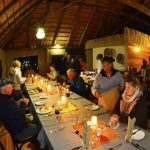 optional night drives with rangers, alcoholic beverages, dinner at restaurant in Upington day before and after the tour. 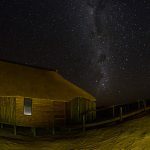 If we visit Augrabies then meals are excluded.